Kirby: Star Allies demo out now on the Nintendo eShop. Kirby: Star Allies demo is out now on the Nintendo Switch eShop! Kirby: Star Allies is Kirby’s latest adventure. It comes to the Nintendo Switch on March 16, 2018. It is slated for a worldwide release. However, Nintendo has already dropped the demo for the Nintendo eShop and it will be available for all players to experience the title before it comes out. 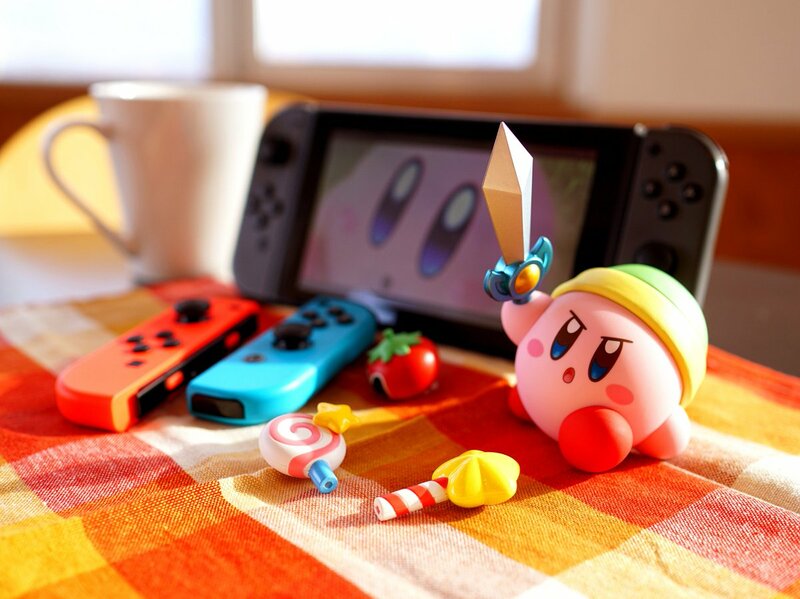 Why is Kirby: Star Allies noteworthy? Kirby has never hit the popularity levels of Mario, Zelda, or even Metroid in its prime. It does, however, have a devoted following. Its fans largely include longtime fans of Kirby as well as younger children. However, Kirby is an excellent series for all ages. It combines 2D platforming with beautiful charm, pretty visuals, and the ability to absorb enemy copy abilities. 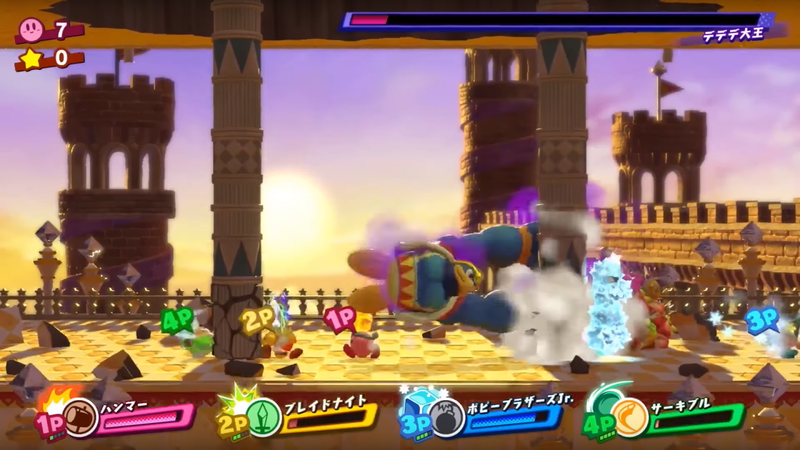 In this particular installation, the 4-player co-op mechanic, from Kirby’s Return to Dream Land, returns. You now have the ability to make your friends into enemies. Rather, the enemy types in this game can become your allies, a feature similar to Kirby Super Star on the SNES and DS. In particular, Kirby has a long history of success. Kirby: Triple Deluxe scored an 80 on Metacritic. Its sequel, Kirby: Planet Robobot, scored an 81 on the same site. Fans say, “there’s no such thing as a bad Kirby game.” It has a history of being a well-polished series with great music, fun gameplay, and often times, a surprising challenge that completely defies the impression the early stages of each game will give you. Kirby: Star Allies is set to be the largest Kirby game yet, boasting the powerhouse of the Nintendo Switch’s console and being Kirby’s first true, HD platforming experience. The Kirby: Star Allies demo features two stages – an easy and a hard one. The easy stage takes place in a plains environment, while the Hard stage takes place in a caves setting. The Easy stage will adjust you to the game’s abilities and controls. For a newcomer, it starts you off with a tutorial. The tutorial itself is part of the stage, showing signs that tell you which buttons to press as you’re progressing through the stage. It has some of the best pacing of any tutorial in any series, and an example I wish more games would follow. In this lush, green field, you’re learning about the Copy Ability, the abilities you possess with each power, and how to use your new Hearts abilities. In both stages, you gain the ability to make friends out of enemies, and they follow you around. An A.I. controlled enemy, such as Poppy Bros. Jr., Blade Knight, Sir Kibble, or Fire Leo, and they will attack enemies for you. New to the series is their ability to help you solve puzzles. You can have a partner character pull a switch for you without any sort of remote control. Yet again, Kirby demonstrates an example of a gameplay mechanic that I wish was prominent in more games, such as Action/RPGs. Smart A.I. that involves both attacking enemies and solving puzzles successfully is a solid quality that will surely echo for the game from start to finish. What’s new to the game? 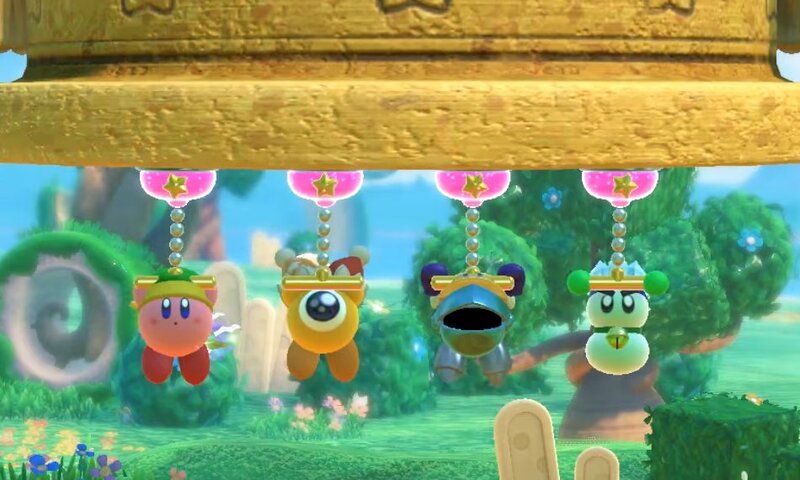 Kirby: Star Allies features the ability to combine powerups. While this feature echoes an ability used in Kirby 64: The Crystal Shards, it ends up taking a different approach. Say you have Sword Kirby and one of your partners is Fire Leo or Chilly. When you hold Up, you position the blade in the air. One of your A.I. companions will take note. Hitting the Y button will allow them to use their powers on you. This will create either a Fire Sword or an Ice Sword. While this approach is different than the one used in Crystal Shards – which involved making a new ability altogether – this will give you elemental abilities, as well as a new attack. I’ve used the traditional Sword Kirby combo and was able to get a new ender from using the fire ability. Also note, you can combine your allies’ powers as well. The other new ability is the Friend Circle. At one point in the second stage, you will come across a platform that fits you and your allies on it. By doing this, they combine into a heart-shaped, handholding bond amongst the four allies. Doing this will allow them to tumble at great speed, causing them to crash through enemies and cracked walls alike. You will continue to control the characters, giving them ability to jump and gain more Stars. These Stars can be added up for 1-Ups, so make sure to time your jumps accordingly. Lastly, you’ll be facing Whispy Woods in the first stage and a buff King Dedede in the second, so be prepared for these boss battles. I love some of the little touches in the game. When you first encounter your ally – a Poppy Bros. Jr. – and give him a Friend Heart, you’re greeted to a little scene where the two characters nuzzle as friends. Then he follows you around while the game asks you to throw more Hearts at enemies to become friends with them. I love the naming in this game. The new ability is Friend Circle. Despite this, it’s heart-shaped. This is perhaps a reference to an actual friend circle in social constructs. But my favorite is the ability to Unfriend. The game actually lists the ability as Unfriend. When you need to switch out one of your allies, or gain its power, you can Unfriend them, turning them back into the raw powerup ability, which you can use for yourself. While Nintendo could have easily used another term, such as “revert,” “remove,” or even “replace,” I feel this touch was created intentionally. Anyone with experiences on social media may find this quite hilarious. The demo for Kirby: Star Allies is available on the Nintendo eShop right now. You can try out the demo for free, and you can also pre-purchase the title from the eShop. I hope you will enjoy the game and invite your friends to play with you. 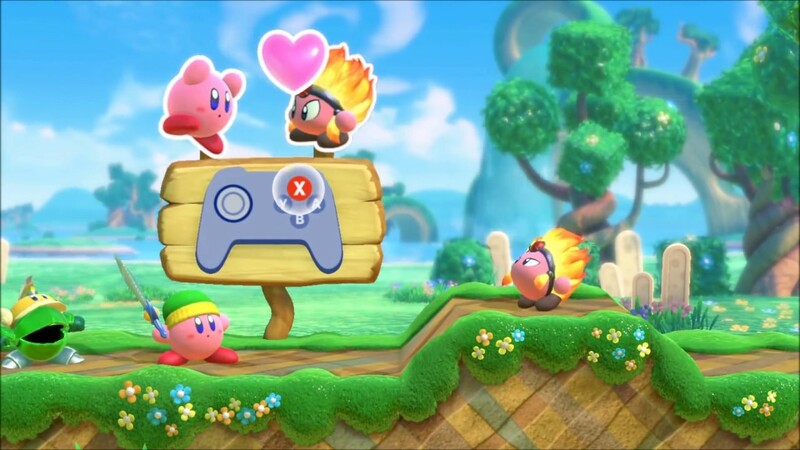 Get out there and build your Friend Circle in Kirby: Star Allies! The official Nintendo of America Twitter page. Preview for Ys VIII: Lacrimosa of Dana, an upcoming RPG for the Nintendo Switch.